I already reviewed the last two titles in the revamped line of Target Books Novelizations of Doctor Who episodes, so I figured I’d go ahead and review the first two titles in the line. 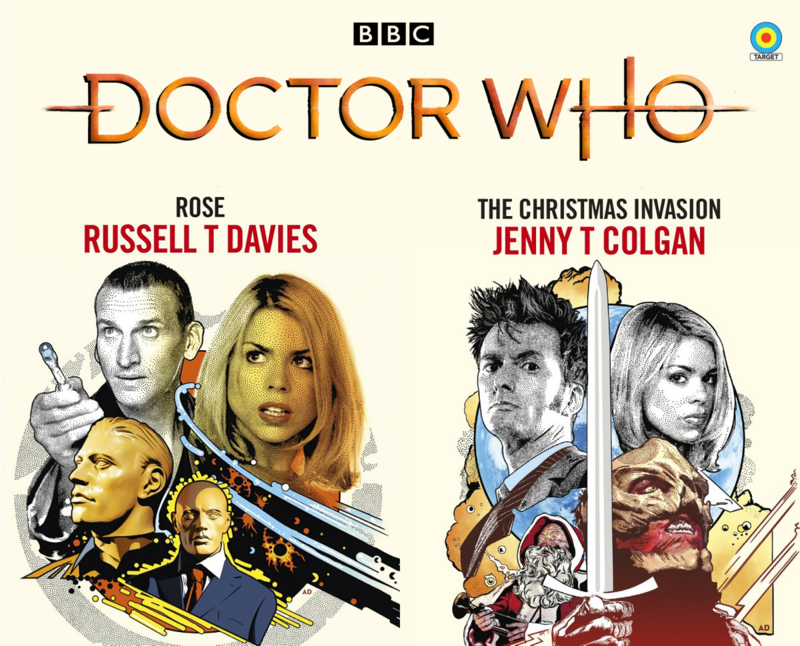 Like The Day of the Doctor and Twice Upon a Time, Rose (by Russel T. Davies, based on his script) and The Christmas Invasion (by Jenny T. Colgan, based on a script by Russel T. Davies) are novelizations of two episodes from the 2005 revived series of Doctor Who. 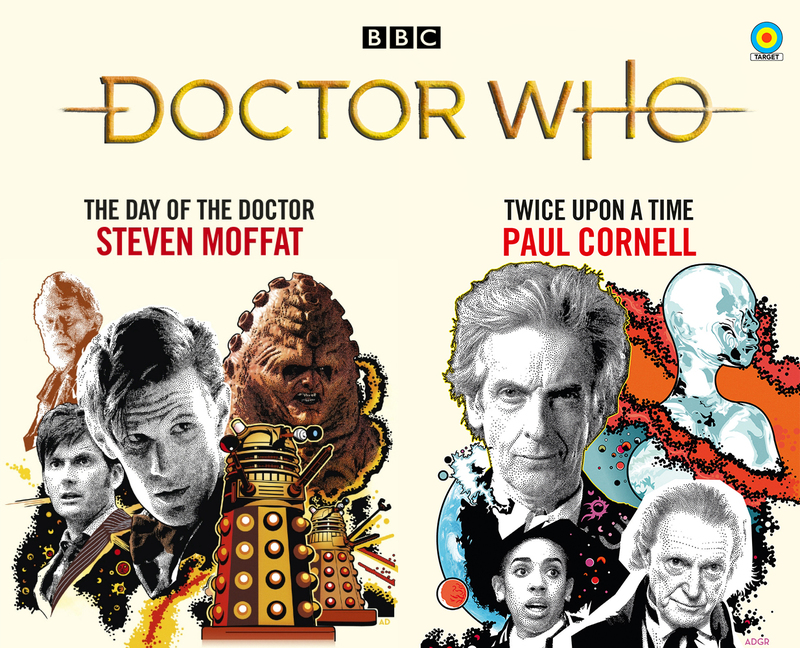 Both episodes were written by Russel T. Davies and both novelizations follow the same plot as the episodes, but with added embellishments and asides. In a lair somewhere beneath central London, a malevolent alien intelligence is plotting the end of humanity. Shop window dummies that can move – and kill – are taking up key positions, ready to strike. Rose Tyler, an ordinary Londoner, is working her shift in a department store, unaware that this is the most important day of her life. She’s about to meet the only man who understands the true nature of the threat facing Earth, a stranger who will open her eyes to all the wonder and terror of the universe – a traveller in time and space known as the Doctor. Earth is under attack by power-hungry aliens. This is no time for the Doctor to be out of action. When a British space probe is intercepted by a sinister alien vessel on the eve of Christmas, it marks the beginning of an audacious invasion of the Earth by the Sycorax – horrifying marauders from beyond the stars. Within hours, a third of humanity stands on the brink of death with not a single shot fired. Our planet needs a champion – but the Doctor is not fit for service. He’s just regenerated, delirious in a new body and a dressing gown. Forced into his battered shoes is his friend, Rose Tyler, a girl from a London council estate. Will she save the world from this nightmare before Christmas – or see it destroyed?